Safe, effective formula for your pet. No harmful side effects that are commonly seen with conventional drug therapies. Strengthen your pets Cardio-Vascular System. Anti Viral and may reduce your pets Asthma and Bronchial problems. Used for blood and lymph cancers, as well as hard and soft invasive tumors. Benefits of this therapy may include improvement in the quality of life of your pet: increased appetite, weight gain, remission of symptoms, restoration of energy and vitality. Booster your pets immune system. These approaches allow your pet's body own immune defenses to be optimized for specific symptoms and overall general well being. "Mushrooms are valuable health food - low in calories, high in vegetable proteins, iron, zinc, chitin, chiton, fiber, vitamins & minerals. Mushrooms also have a long history of use in Traditional Chinese Medicine . Their legendary effects on promoting good health and vitality and increasing a body's adaptive abilities have been supported by recent studies. These studies suggest that Mushrooms are probiotic - they help a body strengthen itself and fight off illness by maintaining physiological homeostasis - restoring your pet's bodies balance and natural resistance to disease. The compounds they contain have been classified as Host Defense Potentiators (HDP) which can have immune system enhancement properties( boost immune system ). That is one of the reasons they are currently used as adjuncts to cancer treatments in Japan and China." Extending your pet’s good quality of life is the best reason to treat cancer. 15% off price per bottle for orders of 4 bottles or more! CorPet (Coriolus versicolor) supports the immune system in pets, small animals and horses. The tablets are film coated for easy swallowing and to protect them from moisture, thus preserving the quality of the product and ensuring a long shelf life. Coriolus versicolor powder contains both mycelium and primordia (young fruit body) cultivated into a biomass that is grown on a sterilized (autoclaved) substrate. ReiShi Plus is a formulation of two of the most established nutraceutical medicinal mushrooms. Both mushrooms have a long history of use in Traditional Chinese Medicine (TCM) in supporting good health and vitality. Their legendary effects have been supported by recent scientific studies (Click here for references & readings). Specially selected proprietary strains of both Reishi and Shiitake are used. Their growth is carefully monitored and maintained. These strains are cultured under sterile conditions on an a substrate of organic whole grain until they have reached the most active stage of the mushroom life cycle. Then this biomass is processed into powder. Nothing is added or removed - purity is always maintained. Production of all biomass eliminates the variations found in harvested wild mushrooms and allows control over every aspect of culturing, processing, and quality assurance. This results in a pure and reliable product. Produced & Processed in the USA. Some benefits of ReiShi Plus, a daily herbal nutritional supplement, develop with continuous long-term use. Certified Organic Mushroom Nutraceuticals Grown by Gourmet Mushrooms Certified Organic by Quality Assurance International (QAI). Trimyco-GenTM is a mixture which starts with the two best known and most extensively studied nutraceutical mushrooms in the world: Reishi & Shiitake. Then Trimyco-GenTM incorporates an incredible mushroom called Cordyceps sinensis which has been successfully cultured recently . This once extremely rare mushroom provides an even greater potential for promoting good health & vitality. This strain of Cordyceps was located high in the Himalayan Mountains of Nepal. It can only be found for a short time each summer, growing on its natural host - a caterpillar! Of course, this mushroom is not grown on caterpillars. Trimyco-GenTM is scientifically cultured on organic whole grain substrates and produced under sterile conditions with care and strict quality control - Resulting in a pure and reliable product. Produced & Processed in the USA. Some benefits of Trimyco-GenTM, a daily herbal nutritional supplement, may occur with continuous long-term use. Certified Organic Mushroom Nutraceuticals Grown by Gourmet Mushrooms Certified Organic by Quality Assurance International (QAI)..
MycoPlex-7TM is a formulation with a base of the most established Nutraceutical mushrooms. These mushrooms have a long history of use in Oriental & Traditional Chinese Medicine (TCM). Their legendary effects as an adaptogen and on promoting good health and vitality have been supported by recent studies. Only specially selected strains of mushrooms are used. Their growth is carefully monitored and maintained. These strains are cultured under sterile conditions on an a substrate of organic whole grain until they have reached the most active stage of the mushroom life cycle. Then this biomass is processed into powder. Nothing is added or removed - purity is always maintained. Production of all biomass eliminates the variations found in harvested wild mushrooms and allows control over every aspect of culturing, processing, and quality assurance. This results in a pure and reliable product. Produced & Processed in the USA. Some benefits of MycoPlex-7TM , a daily herbal nutritional supplement, may occur with continuous long-term use. *Certified Organic Mushroom Nutraceuticals Grown by Gourmet Mushrooms Certified Organic by Quality Assurance International (QAI). or as directed by a health professional. Always consult with a health care practioner before taking any supplement for medicinal purposes. +This table is an informational summary of the health and medicinal benefits of mushrooms suggested by recent research; it does not constitute claims for any product. This information has not been evaluated by a Health Professional or Practitioner. 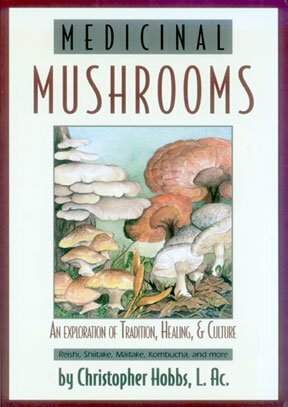 A list of references can be found on: : Medicinal Mushrooms - Readings and References. Synergistic - The interaction of two or more agents or forces so that their combined effect is greater than the sum of their individual effects creating an enhanced combined effect.